Taking a 7 hour road trip with a baby and toddler in our 5 seater car means that we can’t take much with us! We do this a few times a year to visit my family. Packing the trunk is like playing Tetris, and thankfully my husband is good at that! 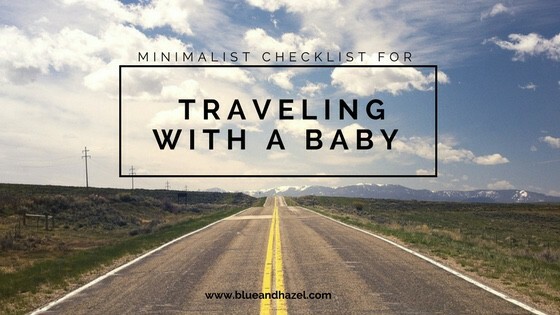 While I’d take more if I could, taking less with a baby and toddler has simplified traveling. Unpacking is faster, there’s less to wash, and there’s less to haul in and out of the car each time. If you are wondering how to pack lighter with kids, I’ll show you how we do it! Overall we pack so much less per kid now than when we were first parents. That’s right..any size will do. This is tough for 4 people, and I’m assuming you have a washer dryer where you are going. Besides not being able to bring many clothing options, there’s one super annoying problem I’ve faced with just packing one suitcase. It all gets jumbled and tossed together I find myself digging for everything. To solve this, either use gallon Ziplock bags to separate clothes, or buy packing cubes. You can organize by person, or by item type like socks and underwear for everyone, swim suits for everyone, kid pajamas, etc. One main pair of shoes for each kid, and perhaps sandals or mocs too. I have often been traveling and a baby gets sick. Why such bad timing?!?! Now I always take some baby Tylenol, a syringe, and a printed out dosing sheet just in case. It’s easier to just bring it than to have to run stressed out to a store with a sick baby. Ok, some of you amazing moms get your toddlers to sleep fine without this! But, ours have slept SO great in total darkness that I’m afraid of messing up a great nights sleep. A thick blanket, sarong, or huge dark sheet of fabric from JoAnn’s will do great along with a few push pins to hold it over a window. We have also used a black garbage bag! When staying in a hotel, I’ve found the blackout curtain is always dark enough for nap time. However, when visiting family, we almost always have to hang or pin something dark over the window, along with white noise on our phone or our kids just won’t nap. Tip: Bring something like chip clips or a few push pins in a small container in case you need to hang something over the window. These take up the majority of space in our car trunk. The most we have had to take is two, even with three kids under 5. We ended up buying two extra at garage sales and leaving them at the grandparents for when we visit. WAY easier! If you are traveling with only one small baby, I highly recommend just taking your cushy changing pad instead! It works perfectly as a little baby bed, changing spot, and it’s small! I love packing that until they can roll around. We also have packed a Rock n Play for the baby which doesn’t take up that much trunk space. We have traveled without Pack n Plays before and my toddler slept on memory foam on the floor, while the baby slept in her car seat. Also a blow-up mattress against the wall has worked ok for our 2-4 year olds too, and it helped us to push something against it on whatever side faces the wall (like our suitcase on its side) to keep them from rolling off. When we did a two week road trip with a 6 month old and 2 year old, we always called the hotel to ask if they had Pack n Plays. If yes, we told them how many we needed and just left ours in the car. What a treat to have them waiting for you…and I loved not hauling in two extra heavy things to and from the car! Tip: Bringing our own fuzzy blankets from home has made sleeping in a hotel pack n play feel and smell just like theirs at home. You can also pack your own Pack n Play sheets if you want to. Note: If you have the means to buy a better travel crib, these BabyBjorn travel cribs are the absolute lightest, most compact travel baby crib I know (13 lbs vs pack n play at 23 lbs). Folded up they take like half the space…so nice! My sister in law has two of them and if we could afford them I would have gotten them as well! You could scrap this…but we don’t. After taking a two week road trip with a 2 year old and 6 month old…these are what made nights amazing in any new home or hotel. I put each kiddos blanket on them in the car to save trunk space and helps them nap on the way. I used to bring tons. So dumb unless you are at a hotel with NO toys because they want to play with what’s new! 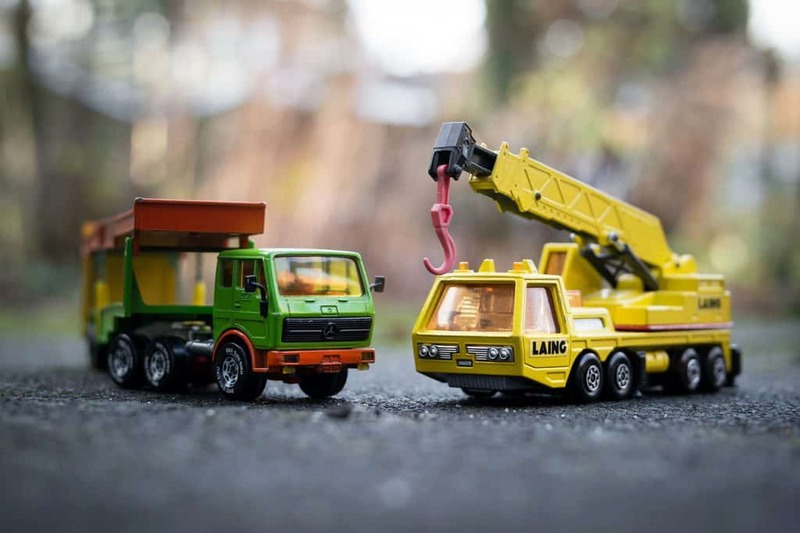 Basically now I bring a couple of things to play with in the car, like a few trains or diggers, and those usually get left in the car unless there are NO other toys where we are going. They want to play and explore the new things they find more than their old toys it seems, so I keep it simple and don’t pack many. Balloons in my purse have been an awesome thing to bring places once baby reaches toddler stage. 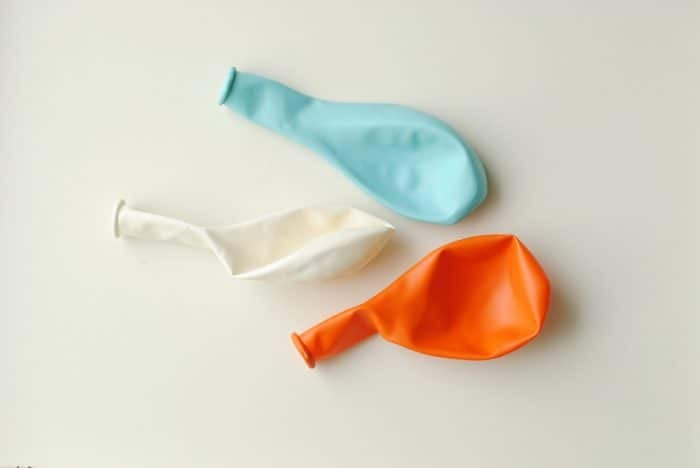 They take up no space, are fun to play with when blown up, and can be tossed. I do pack 5-10 books for the car by their feet. This has been golden, especially after age 2 or so. This helps our babies nap without hearing all the conversation around, and it makes it so that we can all sleep in one room without waking each other up. We use a fan at home but an iPhone with a white noise app on it saves a ton of space and works well. Don’t forget an extra charger! Our first trip with a two week old I didn’t have one, and we pulled over every hour to nurse (like 20 minutes every time) or he would SCREAM. This lengthened a 7 hour road trip into a painfully long trip until about halfway through I started hand expressing to save time. Ug, I wish we had a pump then. I have used a hand pump like the Medela hand pump, and a car battery operated pump (the best!) and free through your health insurance if you live in the USA. I’ve also used hand expression in the car with fully breastfed babies as a last resort. This saves SO much time pulling over to nurse. Update: This works best when traveling with one baby and no older kids. Now that we have a baby plus 3 and 4 year old, we actually just have to stop for potty and stretching, or they go nuts. So I nurse then, and we just have to stop more. I love not worrying about spills in the car or at other peoples houses. These spill proof Munchin cups below are my absolute favorite and all my kids can use them (from around age 1.5 to now almost 5 years). The only way they really spill is to throw it with some force onto the ground which briefly lifts the seal. When I think of what to pack when traveling with a baby and toddler, a stroller is a must. We only take a small stroller when we know there will be lots of walking involved. Otherwise, it stays home too. I also throw in either the Ergo, or when our babies are only a few months I’ll take our Boba Wrap. Knowing what to pack when traveling with a baby and toddler is hard, and packing lighter is a skill! I would dare to say commitment. It gets easier the more you do it! Babies mostly need mama and diapers and a few clothes, with a safe sleeping space. Everything else is pretty negotiable and takes guts to just try leaving behind if you are out of space! If you are going to be going on a long trip or flying, be sure to check out this post where 22 families share their best packing advice with kids. What’s the hardest thing for you about packing with little kids? Leave me a comment and I’ll reply!